International Tank Service builds, fabricates, and constructs DEF (Diesel Exhaust Fluid) Tanks. Our DEF tank sizes range from 30,000 gallons to 2,000,000 gallons. 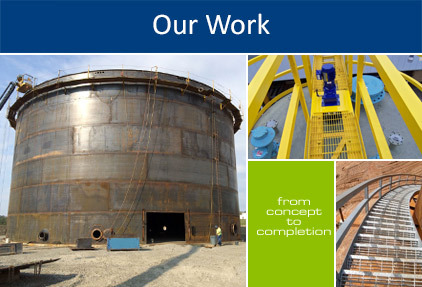 We also design and build tank foundations. 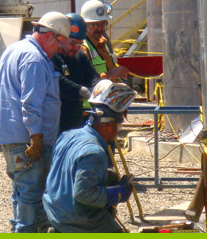 On our staff we have certified API 653 inspectors that can inspect your DEF storage tank. We have the ability to do all your necessary API 653 Tank Repairs and Modifications. Give us a call and let us know how we can help you. What is DEF Diesel Exhaust Fluid? A urea solution of 32.5% high purity urea and 67.5% deionized water. Urea is a compound of nitrogen that turns to ammonia when heated. Urea is most commonly used in as agricultural fertilizer. What is DEF used for? DEF is used to reduce NOx (oxides of nitrogen) emitted from engines that are harmful to our health and the environment. DEF should be stored in a cool, dry, well-ventilated area, out of direct sunlight. While the optimum storage temperature is between 10 and 90 degrees Fahrenheit temporary exposure to higher temperatures has little to no impact on the quality of DEF. The storage shelf life of DEF is up to 2 years depending on the temperature stored. 75 degrees Fahrenheit is the optimal storage temperature and will give you the best shelf life of 2 years.